Disclosure: I received a sample CD for review purposes. No other compensation was received and all opinions expressed are my own. I remember the very first time I saw the Laurie Berkner Band performing on Nick Jr. I was a teenage part-time nanny, watching something or other with the kids in my care. I thought to myself, "what a silly bunch of songs" - never dreaming that in a few years, Laurie Berkner would be a big part of the soundtrack in my own home! We love Laurie Berkner and her collection of somewhat zany, unique music. I can't tell you how many times we have listened to The Best of the Laurie Berkner Band, so when I was offered the chance to review The Ultimate Laurie Berkner Band Collection this fall, I said absolutely! Here's some info about the new release, which hits shelves and online music retailers today! Beloved children's recording artist and preschool TV favorite Laurie Berkner will release a compilation of greatest hits, The Ultimate Laurie Berkner Band Collection, on October 14th. The album is the follow-up to The Best Of The Laurie Berkner Band, which has consistently been a top-seller on the children's music chart since it was released in 2010. Six of The Laurie Berkner Band's CDs are represented: Whaddaya Think of That? (1997); Buzz Buzz (1998); Victor Vito (1999); Under A Shady Tree (2002); Rocketship Run (2008) and the DVD/CD Party Day! (2011). The Ultimate Laurie Berkner Band Collection also features three bonus tracks, including the song "One Seed," which has not appeared on any previous album. 6. The Cat Came Back from Whaddaya Think of That? 9. The Airplane Song from Whaddaya Think of That? 13. These Are My Glasses from Whaddaya Think of That? Choosing a favorite track is nigh unto impossible. My kids are obsessed with birthday cakes, so they love Where Is The Cake? I find myself singing Mouse In My Toolbox at random times throughout the day. Telephone is another fun one that's easy for my kids to mimic since it has lots of repetition. 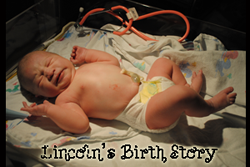 And I think Lincoln's personal anthem could be My Energy. This is my favorite "ride-in-the-car" album at the moment, and we love to have dance parties in our kitchen with this collection as our soundtrack, too. Laurie's music is beautiful because it is not over-complicated and doesn't strive to be more than the toddler/preschool crowd needs. Childhood should be simple and carefree - and every Laurie Berkner song I've ever heard encourages that mindset. We're eagerly awaiting her next release, already! I learned recently that we missed the chance to see Laurie perform at the Kansas City Jiggle Jam. You had better believe I'll be paying closer attention to her tour schedule, because I'm sure a live show would be fun in an epic way. Hop over Laurie's website, where you can read all about Laurie Berkner and the band. You can also follow along on Facebook or Twitter.. And if you just can't wait to see if you win the giveaway below, you can find The Ultimate Laurie Berkner Band Collection on iTunes today! 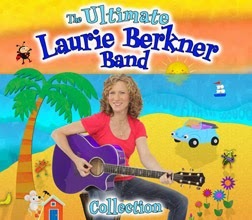 One Director Jewels reader will win a copy of The Ultimate Laurie Berkner Band Collection on CD! This giveaway will end on November 4 at 11:59pm CST. This giveaway is open to US readers only. Winner will be emailed and will have 48 hours to respond or prize will be forfeited. Disclosure: Thank you to Waldmania for providing my sample CD and the giveaway prize! I received no other compensation and all views expressed are my own. For more information, you can read my Giveaway Policy and my Disclosure Policy. i learned that she has many cds out and does concert around the unites states..she has many music videos on her website for your viewing.. I learned that she has a free mobile app. I learned her next concert is in Minnesota, we love her music! 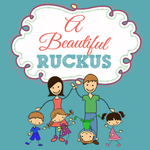 Laurie co-created a brand new animated TV show airing on Sprout! I learned that she is a great musician! I learned that she is having a concert in NJ in January! I didn't know she had concerts all of the US! 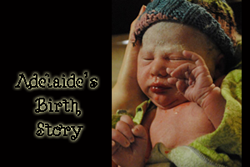 I learned that her lullabies have been nominated to win an award.